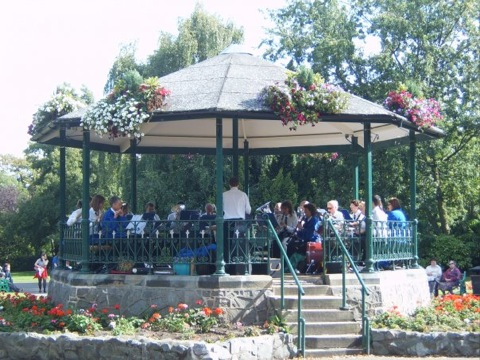 Loughborough Concert Band is available to play at your function on evenings and weekends. We have a wide background experience in formal concerts, background music, church services, fetes and gala days and many other events. We can tailor our programme to suit your event, or provide a varied programme which will appeal to everyone. Our repertoire includes marches, songs from the shows, film music, new pieces, as well as arrangements of many hymn tunes, folk songs and classics. Examples range from traditional Sousa marches to more modern concert band marches, film music like Dambusters and Jurassic Park, old and new shows from The Sound of Music to Les Miserables and more modern pieces from the pen of Philip Sparke, Andrew Lloyd-Webber and Osterling. A typical concert consists of 2 sets of 40 minutes with a break between but we can be flexible and will try to meet the requirements of your event. Prices start from £150 but vary depending on the requirements so please contact us for more details.